You can let the fireworks fly in Bernalillo County this Fourth of July, as long as they don’t fly too far. Abundant rain this year kept Bernalillo County from banning fireworks and other fires. Larry Gallegos has been with the Bernalillo County Fire Department for six years. He said this is the first time he’s experienced enough rain to prevent a county-wide fire ban before the Independence Day holiday. Jason Frazier is with the National Weather Service. He said there has been more than four inches of rain around Albuquerque this year, so wildfire danger is limited. But that doesn’t mean forests are safe from fire. There are restrictions on which fireworks are OK in Bernalillo County – those that go more than six feet on the ground or more than ten feet into the air are illegal. Gallegos said those are more dangerous and people get hurt every year. Bernalillo County Commissioner Wayne Johnson said fireworks laws are there for a reason, but this year he’s more concerned about crowd safety on the Sandia Crest on the Fourth of July holiday. He said the crest will be open for fireworks spectators for the first time in years. If you are in Albuquerque city limits, there are slightly tighter restrictions. Snakes and sparklers, ground spinners, wheels – things that don’t fly away or go boom – are permitted in the city. That means no roman candles, bottle rockets or firecrackers. Gallegos said citations during last year’s burn ban were minimal. He wasn’t sure there were any. In Albuquerque last year, city fire inspectors wrote 19 tickets for illegal fireworks, including a citation to a group of Buddhist monks who did not know some fireworks were illegal. 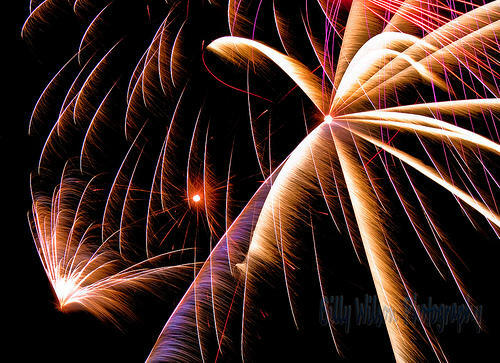 KOB-TV has created a list of sanctioned Independence Day fireworks shows statewide.